The public are invited to view the display between 11am-4pm, with pumpkin-related refreshments available in the downstairs café. Organisers hope to have as many, if not more, exhibits than at last year’s successful family event. The festival is not a competition, and anyone can exhibit just for the fun of it. You may have grown a pumpkin yourself and carved it, or wish to carve a shop-bought one. 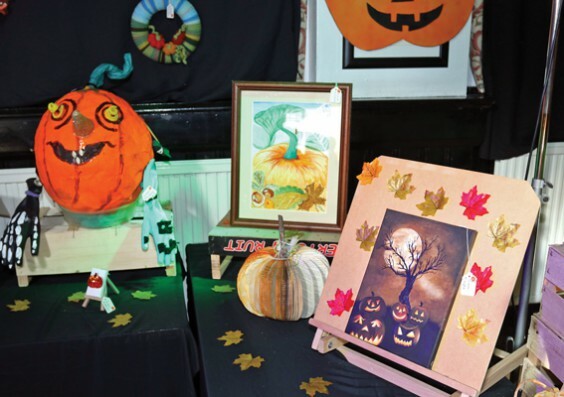 Pumpkin craft is also welcome – so try your hand at knitting or crochet, painting, baking, or crafting anything pumpkin-related. All exhibitors will receive a badge featuring this year’s logo, designed by Sophie Rose, a Year 8 pupil at Alvechurch Middle School. Entry forms can be downloaded from http://www.alvechurchvillagehall.co.uk or collected from The Lounge or the library in Alvechurch. There is a £1 entry fee for each exhibit and proceeds will go towards Village Hall maintenance and Papyrus (a charity for young suicide prevention). This year there’s also a “best window” competition for village shops, with the displays judged by The Village magazine! A number of shops have already signed up, so look out for pumpkins appearing in the windows in the run-up to the event.